What Constitutes a Completely “Green” Carpet Cleaning Company in Langhorne, PA? With OxiGreen in Langhorne, PA, you can expect a completely chemical-free carpet cleaning process and we are extremely very proud of that. This means absolutely no chemical compounds are used in our carpet cleaning process. All of our cleaning agents are biodegradable, non-toxic and safe for the environment and for your precious family. Though we don't believe you would want to, our cleaners are so natural, they are literally safe enough to eat! In combination with our truck-mounted carpet cleaning machines, OxiGreen in Langhorne, PA gives you a powerful, effective, totally eco-friendly carpet cleaning. With hot-water extraction, we're able to dislodge dust mites, dirt, pet dander and other allergens. That is one thing that simply does not happen using your typical run of the mill, household vacuum cleaner. 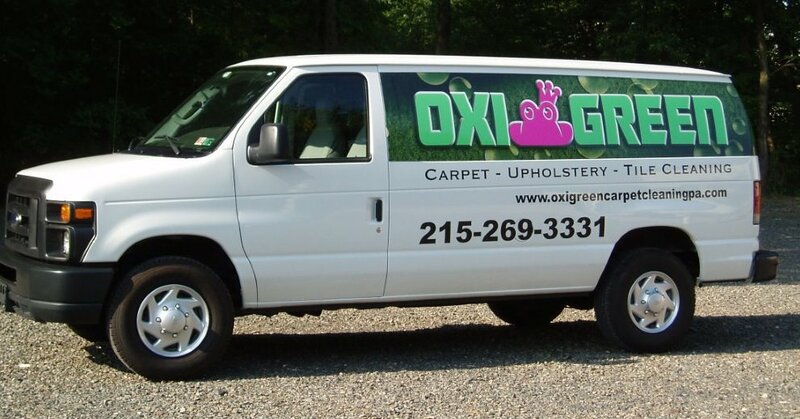 When you combine our truck-mounted extraction procedure with a eco-friendly cleaning methodology, we here at OxiGreen in Langhorne, PA are equipped to remove even the deepest debris, leaving your carpets fresher and cleaner! And they are faster-drying, too. Most carpets we clean dry in as little as an hour or so! Why not call OxiGreen in Langhorne, PA now at 215-269-3331? We would be delighted to visit your house and furnish you with an entirely free analysis of your carpets’ health. Or if you would rather, look us up on the internet at http://oxigreencarpetcleaningpa.com . Our webpage will help you become a little more familiarized with our company, introduce you to our package specials, and inform you about our other professional services which include carpet stretching, expert carpet repair, and tile and grout cleaning. With our 100% satisfaction guarantee, our 100% green cleaners, and our commitment to pleasing you, you won’t go wrong with a totally green carpet cleaning from OxiGreen!